Our learning journey began last September when my students expressed interest in researching a topic of their choice. As I thought through how to approach this process with my students (skills, management, deeper thinking), I found myself challenged in that I didn’t want them to just “show what they learned” through a presentation or a paper or a slideshow or really anything the looked like a school project. Instead, I wanted them to experience research as a creative process, just like an artist or a writer or a musician. Thinking through research skills, I designed a guide to encourage deeper levels of thinking. 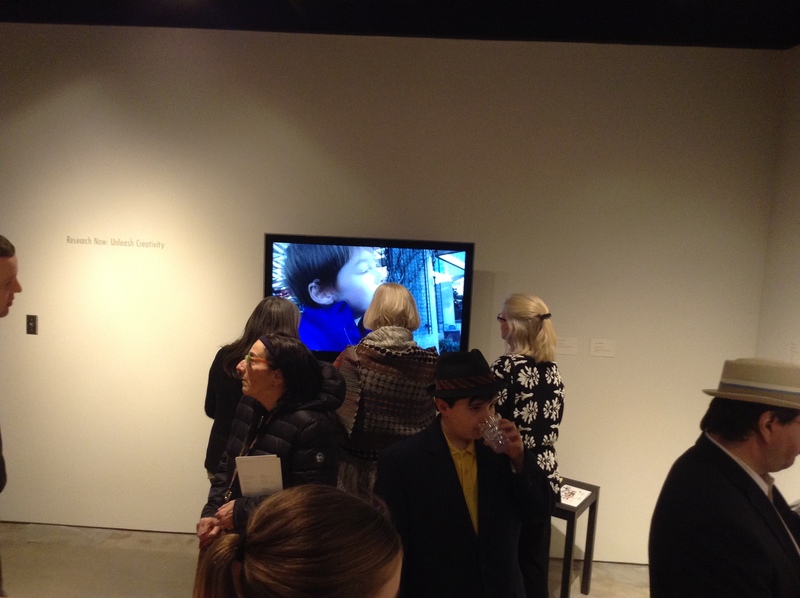 We also had the opportunity to see the Performance Now exhibit at the KCAI H&R Artspace in Kansas City. My students, preparing to research and create something of their own, were drawn to various pieces, observing style and technique. 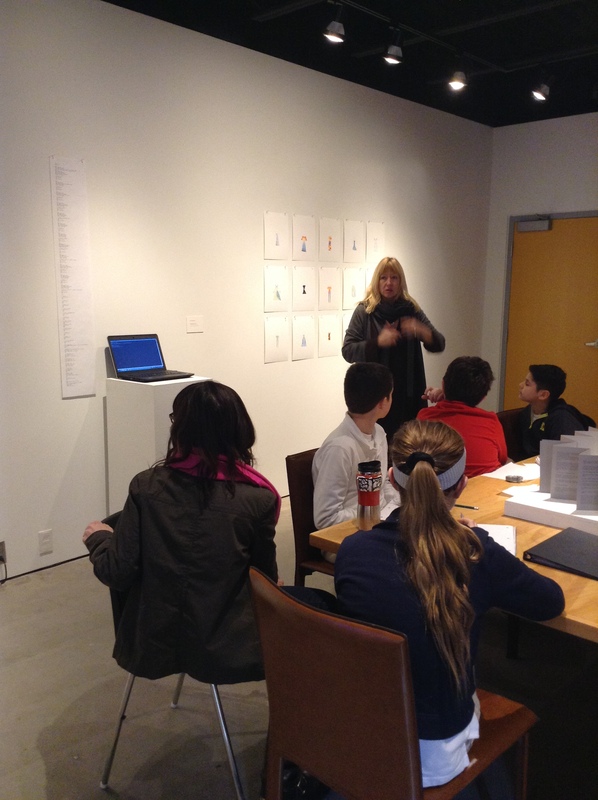 Partnering with a project liaison (a mother of our school and friend to the Artspace), students spent several lessons deconstructing and reflecting on the art pieces that were particularly interesting to them, looking at the content, the media platform, even the presentation of the piece. Taking this exemplar and their own reflection, all students dove into research to become experts and to experience and practice a creative process. Ninjas, painting styles, earthquakes, coding languages, optical illusions, cinematic storytelling techniques. Students chose the platforms for notetaking (Google Docs, Evernote) and wrote questions to help guide their research. They also explored various media platforms that interested them — web design, video, bookmaking, colored pencil, photography. Destiny, our project liaison, played an integral role in this process–meeting with students to dialogue and reflect, teaching new techniques, helping students to look beyond a typical school project. Students truly walked the creative process by trying, experimenting, designing then researching more. They become experts and each created a beautiful piece of art. In January, I met with the staff of KCAI to discuss our exhibit. I had never done anything like this before (as a teacher) so it was invaluable for me to dialogue and partner with the staff to figure out what a real exhibit would look like. Gone were trifolds and posters–we were producing something truly authentic. 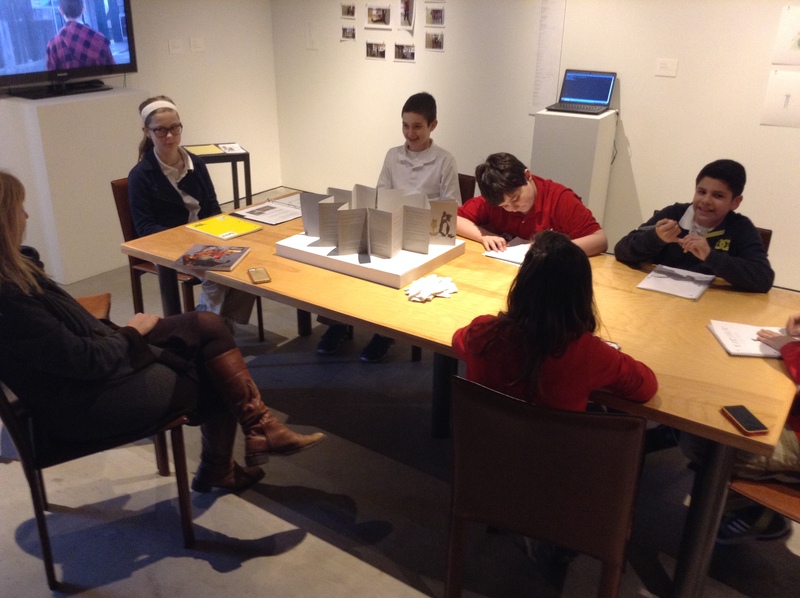 Molly, our project manager from KCAI, met with each student in late January to give feedback and help their creative pieces become exhibit ready. 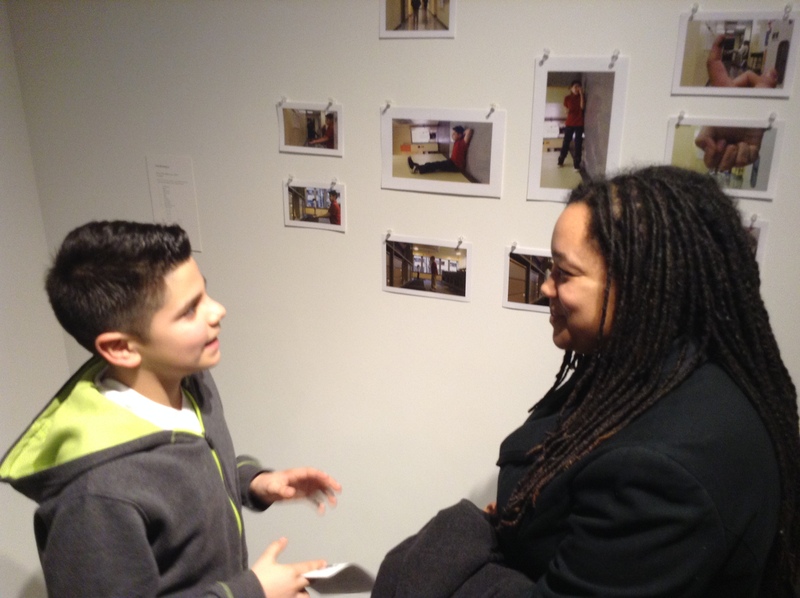 Destiny and I worked with the students to produce bios and press releases for the exhibit. This particular part of the project was, I think, one of the most beneficial. Students partnered with experts and actually received feedback on their piece–not from a teacher, not from a parent, but from an expert. Each student thoughtfully approached their project with a new eye and worked to make it better and to make it exhibit ready. 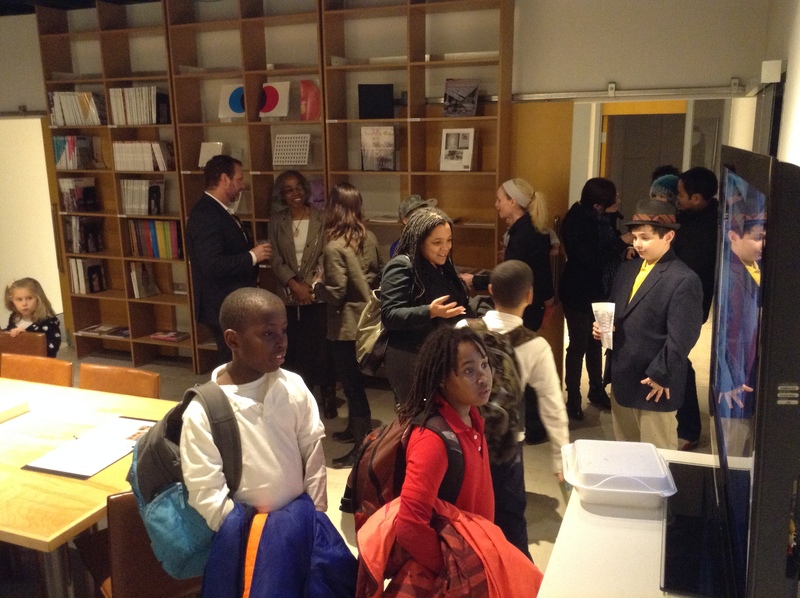 Our opening was on a Friday evening, and I know it will be a night all my students will forever remember. They all said individually at different times–”I like how people I don’t know are seeing my work!” This experience that their creation matters was something that can’t be packaged. The value is priceless. 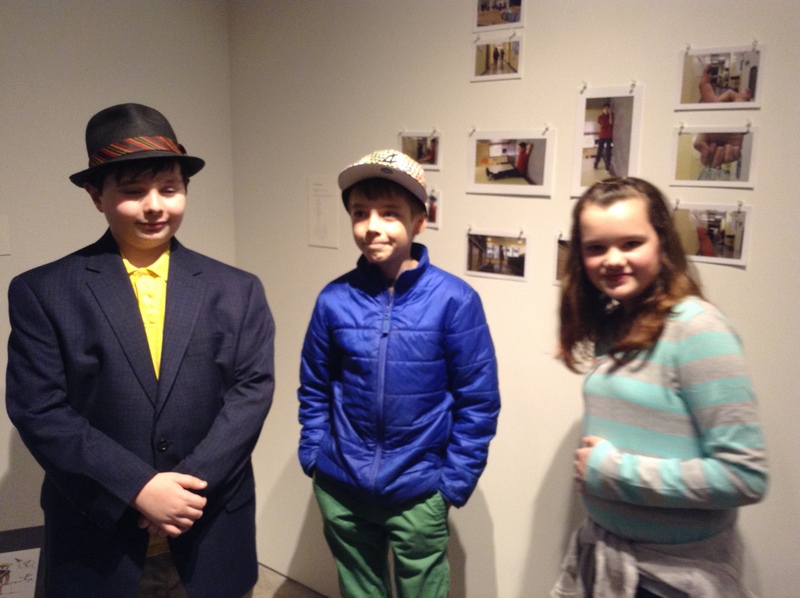 Our final connection to KCAI was an opportunity for the students to meet with the museum curator. The class spent a couple of hours with her discussing each piece, both its strengths and weaknesses, and reflecting on the process itself. Each student walked away with validation that they are indeed artists! Next Next post: Story is Everywhere.